A performance this coming weekend by the Riley Giandhari Collective, at The Jazzy Rainbow, is part of the Concerts SA Venue Circuit which aims to foster a love and support for live music in South African communities, as well as anchor small and medium sized venues in urban and rural Gauteng, KwaZulu-Natal, and the Western Cape. Durban’s jazz lounge, The Jazzy Rainbow, in association with Concerts SA, launched its first straight jazz programme on the eve of Heritage Day in September 2016 and is following up with the same concept in 2018. “#JazzyStraightAhead is about introducing regular, live, straight jazz concerts to our city in order to help keep the music alive,” says Oliver-Rene Haas, owner of the Jazzy Rainbow. 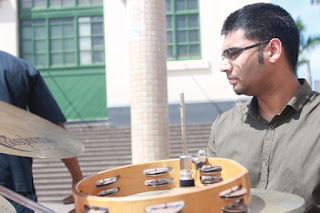 Riley Giandhari is a Durban-based drummer who has worked with many Jazz musicians such as Jan Lundgren, Hugh Masekela and Sibusiso ‘Mash’ Mashiloane. 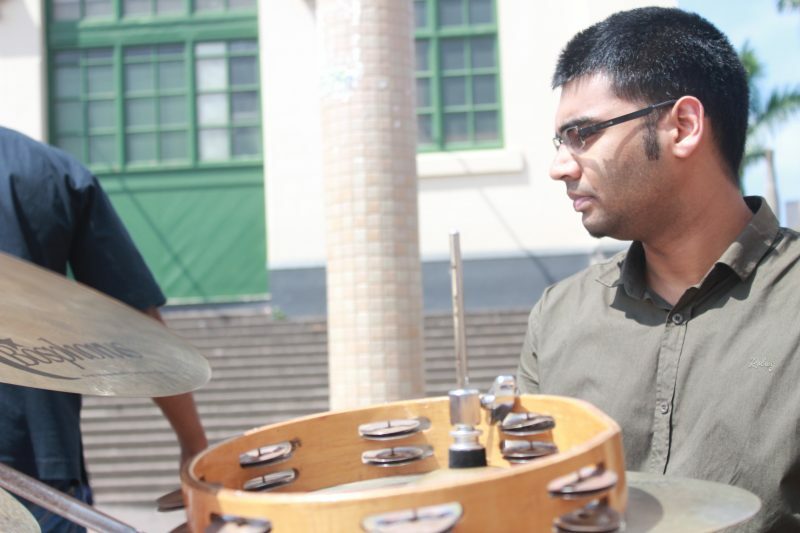 In line with doing his Master’s Degree in Composition, he has formed a band of composers and arrangers. This Durban-bred band will perform Riley’s compositions with each member playing a vital role in making the band’s sound come alive. Each member of the band has performed separately with each other at events and gigs, but this is the first time that all five members will perform together. This experimental band is more of a diverse collaboration which aims to create a vibrant atmosphere, and make people dance- and if not at least their souls will. The band’s sound is a fusion of Traditional Jazz, House, Funk, Latin, and Tribal music. The compositions are inspired by the works of Chick Corea, Elvin Jones, Antonio Sanchez, John Coltrane and Fela Kuti, to name a few. The band features: Sanele Phakathi (piano), Ethan Naidoo (guitar), Salim Washington (saxophone/flute) and Prince Bulo (bass).